All travel and tourism can be more conscious and responsible. Let’s figure out what to do now. What we mostly desire is engagement – your questions, your contributions, your news of upcoming events, publications and meetups. Schedule your own event or stage a viewing party. What participants get out of an event depends on what’s put in. The week is the early-in-the-year wake-up-call that we all need on our journey toward digital literacy and ethical / conscious / responsible travel. Engaged participants shouldn’t feel like you need to know everything. Be curious. Ask questions. Facebook Live: We are going to block out the 8-9am Las Vegas (Noon-1pm NYC) hour for Responsible Travel Week #rtweek18 (February 12-18) preparation and private chats with friends. There will also be live video streaming on our Facebook page — https://www.facebook.com/planetadotcom — and when we figure out how, some actual conversations via FacebookLive. Keep an open mind and heart during Responsible Travel Week. We ask a lot of questions and get a lot of feedback during this week. Promote the event via face-to-face conversation, online via you own social web channels and to share / like / heart other people’s posts. A little encouragement goes a long way! Develop an online presentation – document, blog video, slides – to be shared during the week. Post something we can share, like, embed and promote. Host or join videos. Bonus points for live videos. We’d love to see your point of view from #Periscope and #FacebookLive. Host or join local events on the ground. Enjoy yourself and contribute to the joy of other participants. It’s not working if we’re not having fun. Talk to Ron Mader and ask to be a partner or sponsor of this event. Contribute financially or in kind. 1. We are making posters and calendars for RT Week. Please direct us to photos you have taken that we can freely use. Bonus points for images with a Creative Commons license. Double bonus points for making your own poster or calendar. 2. Ask questions and listen for answers. Before the week begins, post your queries in public. After you’ve processed what you’ve learned, share that as well. Bonus points for using the #rtweek18 hashtag. 3. Planeta editors are asked to update regional and relevant pages with new publications, headlines and resources for deep diving. If you would like to be an editor, talk with Ron Mader. Be a maker … of artwork! Here’s how to make a poster for Responsible Travel Week. Be creative. Responsible Travel Week is more fun if you share something visual. Make original artwork upload your work on our Facebook event page, Flickr and Twitter. Format: Make something new using your computer and via lo-fi media. Favorite posters will be featured on Planeta.com and other websites. Wherever you share your photos and artwork on the social web, please include the hashtag #rtweek18. Please like, heart, thumbs up and share the contributions of other participants. Be generous with your attention. 2018 is the tenth year for Responsible Travel Week (RTWeek) and Planeta.com‘s 19th year of innovative, community-driven, online conferencing. 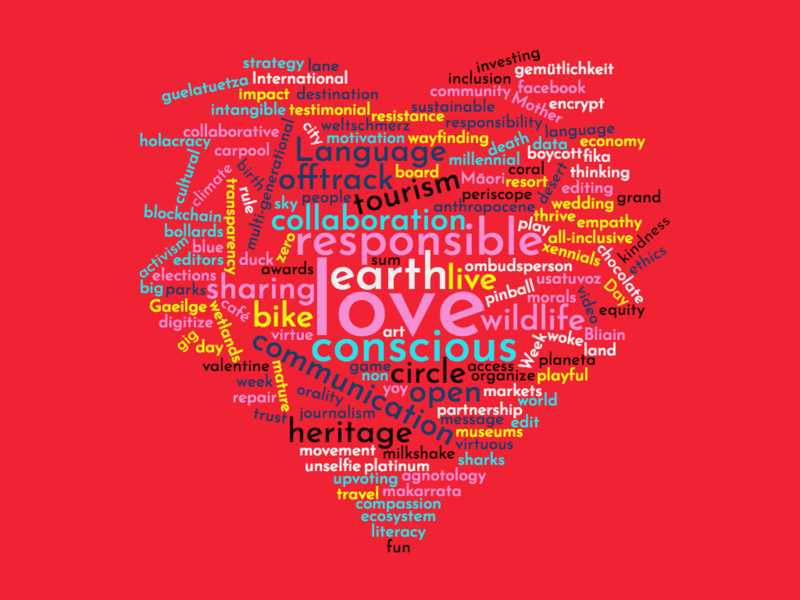 Since 2000 we have hosted dozens of dialogues about ecotourism, sustainable tourism, conscious travel.